One Saturday evening, after a very long day from grad school, I decided to treat myself with a very good food. Far from my typical comfort food, which is Chinese cuisine or ice cream, I craved for something Japanese - maki rolls, to be specific. Ever since this restaurant was recommended by a friend, I have been thrilled to try it out. Just a bit of a background, Ooma originated from the Japanese word umai, which means "good". Ooma, owned by Chef Bruce Ricketts and the Moment Group, offers a variety of bold Japanese food infused with a modern twist. 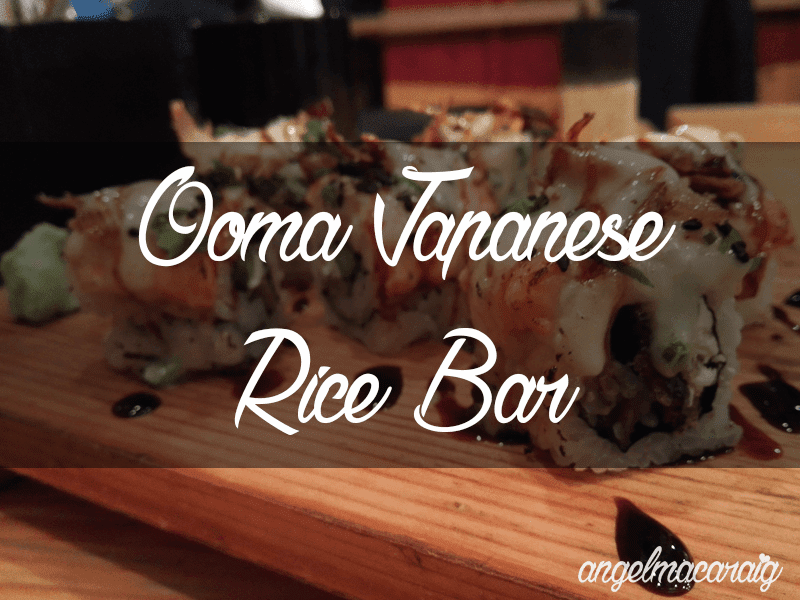 As I approach the facade of Ooma Japanse Rice Bar, it instantly gave me a casual yet stylish and classy impression that's not so intimidating to customers with a limited budget. 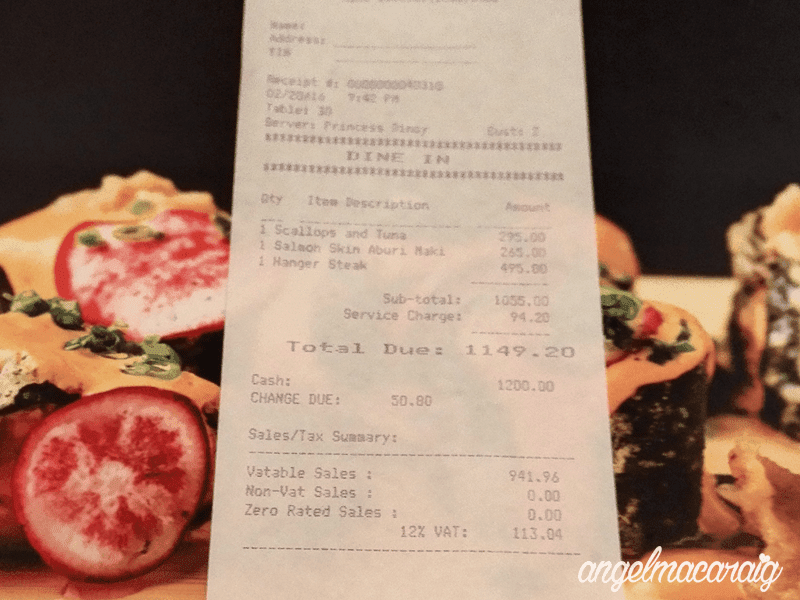 Given the cozy ambiance and delicious dishes it offers, I must say that their price range is economically reasonable. 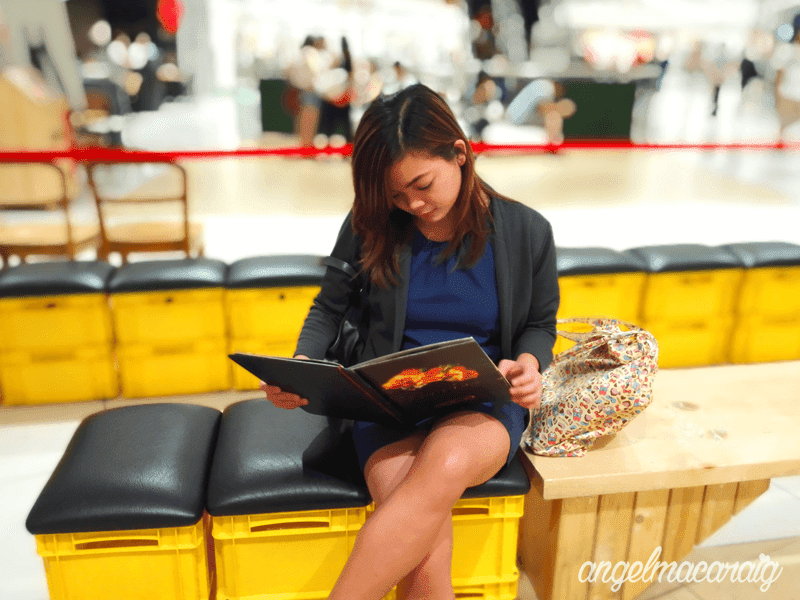 This is a candid photo of me (shot by my food buddy) looking at the menu while waiting to be seated. Since we went there during dinner time, the restaurant was a bit crowded as expected. 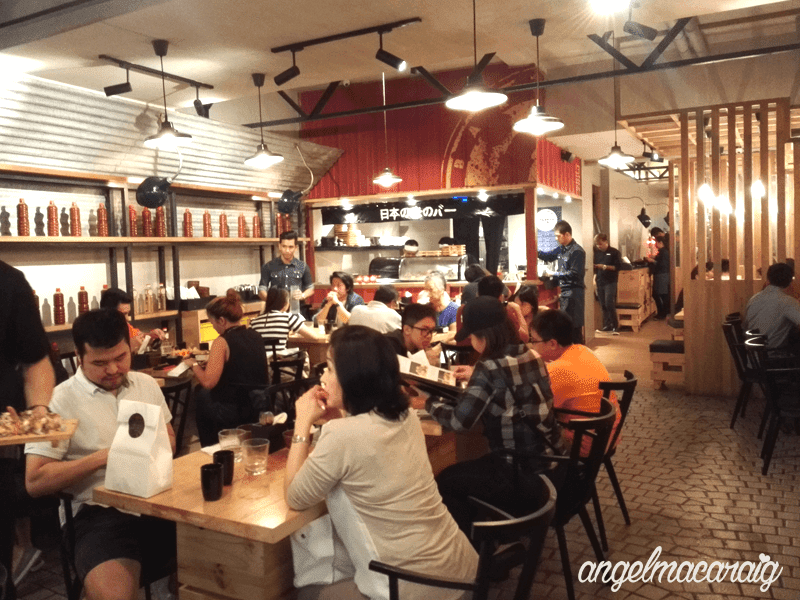 Its interior and ambiance is inspired by Tsukiji fish market located in Tokyo. 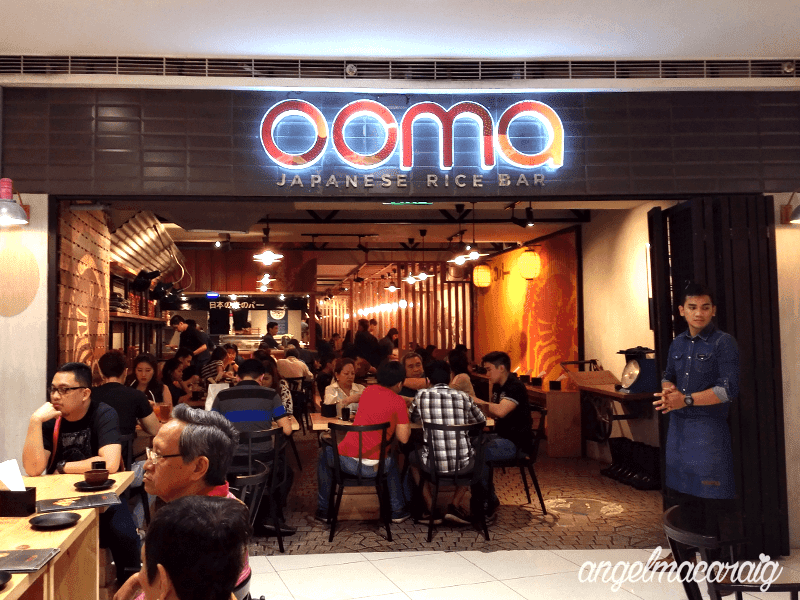 You'll immediately see the sushi bar as you enter the resto, while the open kitchen is just behind it, fronting EDSA side. 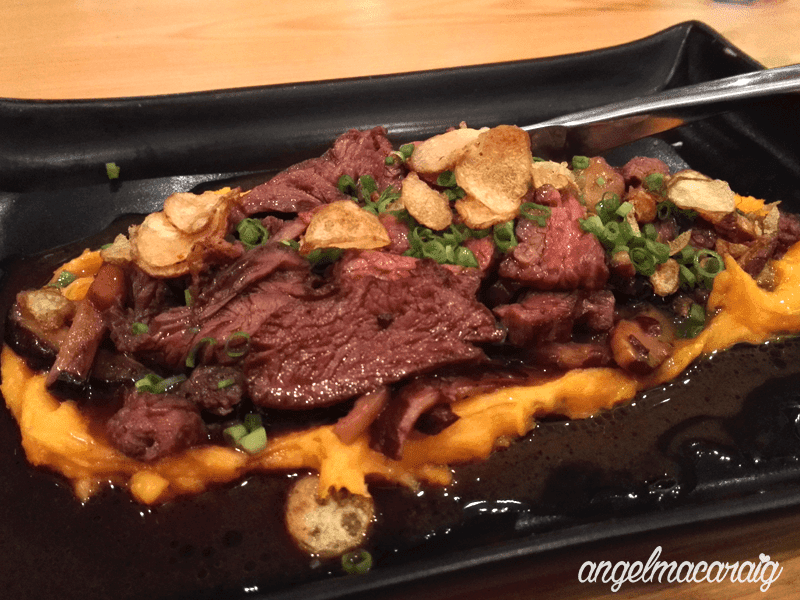 Since I had no idea which of the dishes should I try first, I asked one of the staff to recommend me their best sellers. 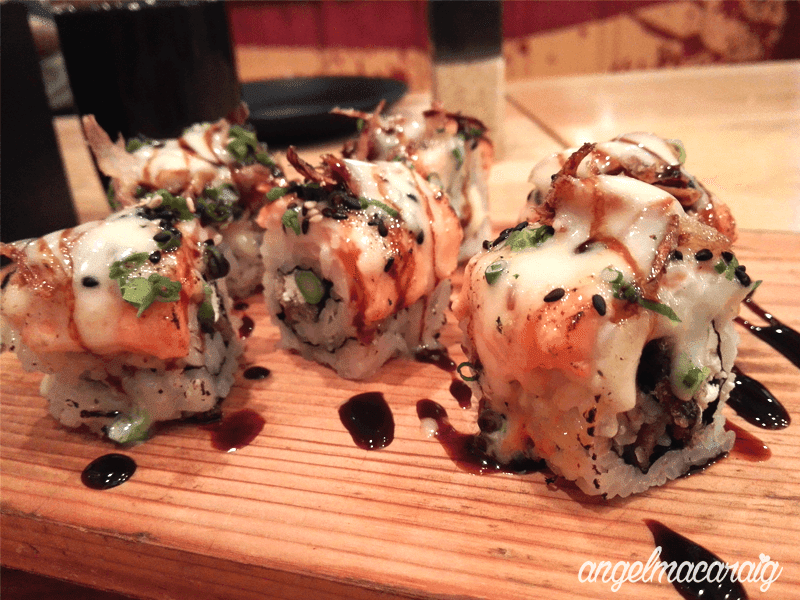 He mentioned these three: Scallops and Tuna Maki, Salmon Skin Aburi Maki and Hanger Steak. By the way, the latter already comes with unlimited rice (yay!). 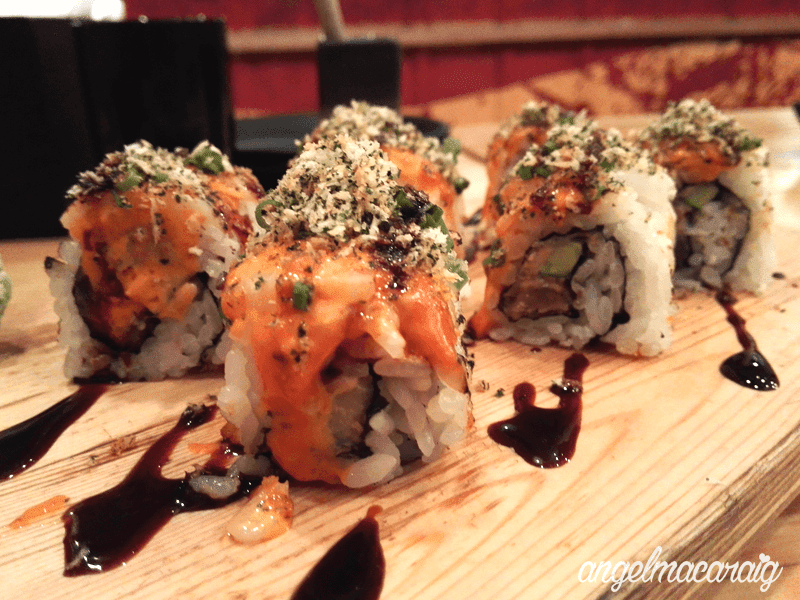 I must say that both maki rolls tasted beyond delicious. My food buddy and I were really happy with it and were tempted to order another set.